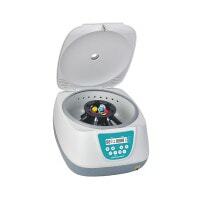 A benchtop centrifuge breaks down a blood sample into individual components for analysis. 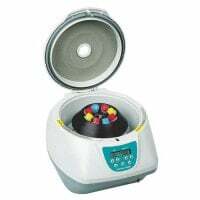 In our online shop, you will find the proper laboratory centrifuge, benchtop machine and the compatible accessories (e.g. centrifuge tubes) at affordable prices. 819,84 EUR* Not ready for shipping. Reserve today and we will ship as soon as possible. 999,00 EUR* Not ready for shipping. Reserve today and we will ship as soon as possible. 1.585,67 EUR* Not ready for shipping. Reserve today and we will ship as soon as possible. 925,00 EUR* Not ready for shipping. Reserve today and we will ship as soon as possible. 1.038,31 EUR* Not ready for shipping. Reserve today and we will ship as soon as possible. 1.596,00 EUR* Not ready for shipping. Reserve today and we will ship as soon as possible. 34,50 EUR* Not ready for shipping. Reserve today and we will ship as soon as possible. 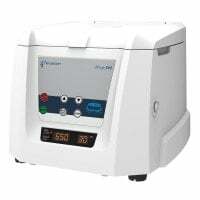 A centrifuge is not only found in the laboratory, but also in surgeries and hospitals. 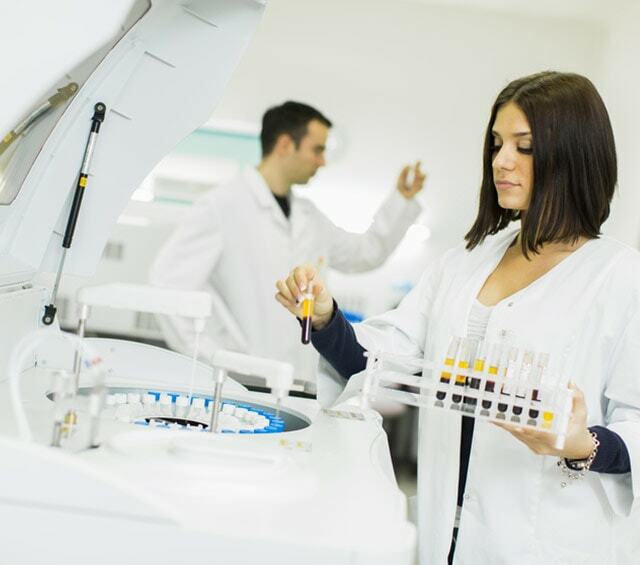 Through centrifugation, liquid or blood can be broken down into its different components, depending on with which substance the centrifuge tube is displaced. In the «Centrifuges» category, Praxisdienst offers you a range of various products from benchtop centrifuges and mini centrifuges as well as centrifuge tubes; all from name brand manufacturers like Andreas Hettich. The EBA centrifuge from Hettich not only excels through it's reliable performance, but also through the high user safety it offers. 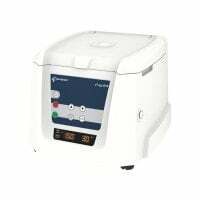 The EBA 270 mini centrifuge, for example, is specially designed to fit the needs of surgeries and can simultaneously process up to 6 tubes, each with a 15 ml capacity. The RPM and run time can be individually set. 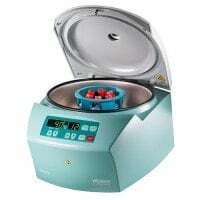 One cannot always use a laboratory centrifuge for every sample, as many factors must be considered. 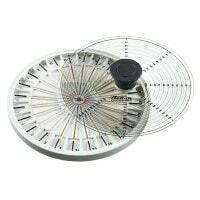 Therefore, choosing the proper microcentrifuge can often be difficult. One must consider the technical specifications of the machine, such as if it offers a high speed of rotation, as well as the capacity of the rotor and the size of the tubes that can be used for the separation process (volume in ml). 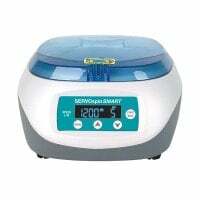 The centrifuge tubes used with this type of machine have a very low volume, usually up to a maximum of 2 ml. Other important factors to consider is the RCF (relative centrifugal force) and the safety of the lid. 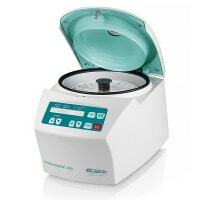 The lid on the M08 Microcentrifuge, for example, locks automatically, it has an RCF of 2,000 g and maximum RPM of 6,000 min-¹. 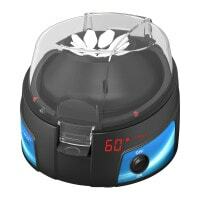 Furthermore, this centrifuge has an 8-slot PCR rotor for 1.5/2.0 ml tubes. 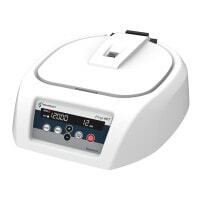 Another quality centrifuge for your laboratory is the iFuge D12 Microcentrifuge. 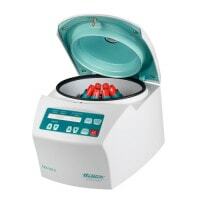 This versatile centrifuge is compatible with the haematocrit rotor and the PCR rotor. The machine is delivered standard with a 12-slot rotor with a fixed-angle of 45° and a reduction adapter for 0.2 ml and 0.4 ml tubes. The RPM can be set in increments of 100 RPM from 500 RPM to 15,000 RPM and provide 15,596 g of relative centrifugal force. Finally, this centrifuge has an emergency lid opening function in the event of a power outage. 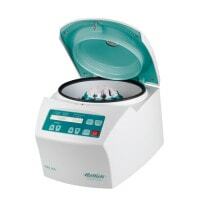 Whether you are looking for a basic laboratory centrifuge for a benchtop, a more complex machine with an especially high speed of rotation, a haematocrit rotor or other accessories like sterile or non-sterile polypropylene tubes with a screw cap, Praxisdienst supplies the proper products for centrifugation of various sample types. 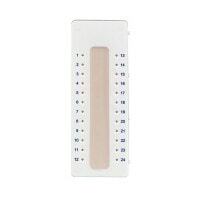 The Praxisdienst centrifuge tubes are available in a pack of 700 sterile tubes, a pack of 100 sterile tubes or a pack of 750 non-sterile tubes. 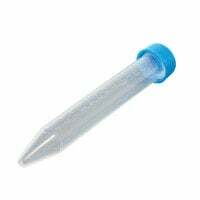 These centrifuge tubes have a conical bottom, a screw cap and a 15 ml volume. 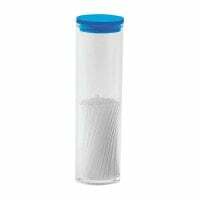 These 15 ml centrifuge tubes are made of polypropylene and are great for collecting sediment from a urine sample, as the conical bottom creates the ideal conditions for separation of the sediment from the liquid. Would you like to buy a centrifuge, microcentrifuge or sterile tubes for your lab and have questions about our products? 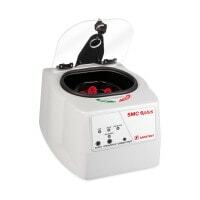 We will gladly advise you and help you find the proper benchtop centrifuge, microcentrifuge, rotor or tubes!